Outdoor kitchen, patio, and living area featuring Medina sandstone. 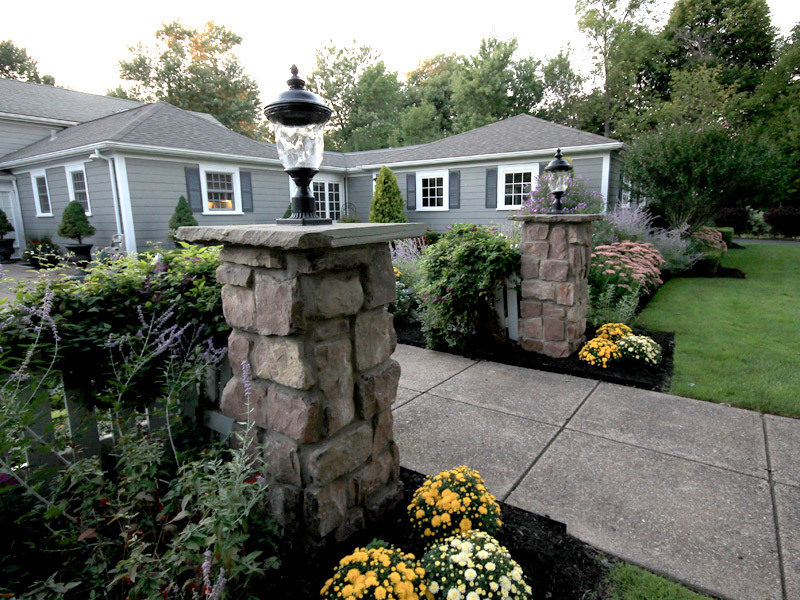 Nestled along a private golf course, this property had an existing hardscape we seamlessly added to. 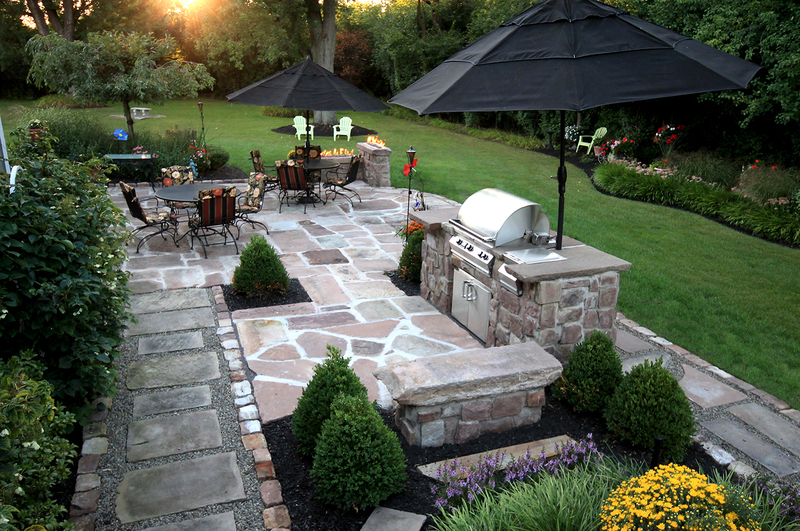 We designed a outdoor kitchen, patio, and living area featuring Medina sandstone throughout. 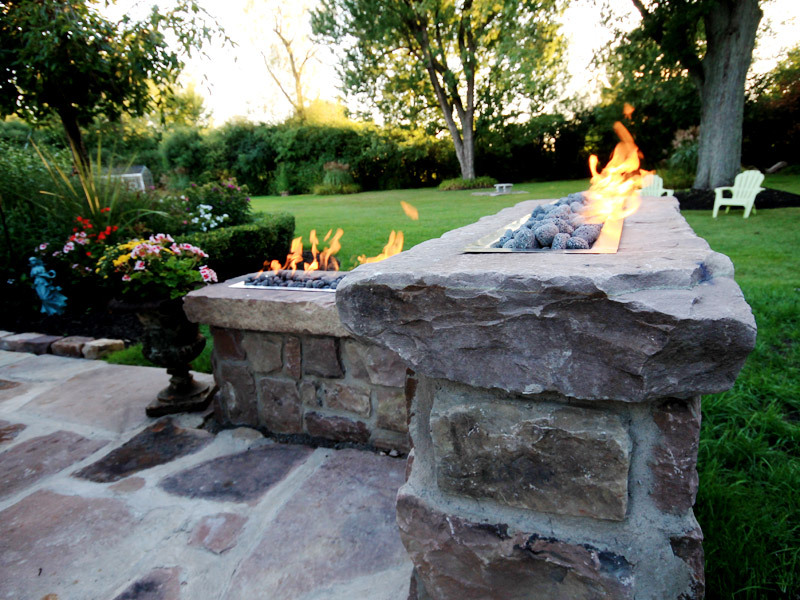 At the far end, guests enjoy a multi-tier, linear gas fire which features a stainless steel tray filled with tumbled lava stones. 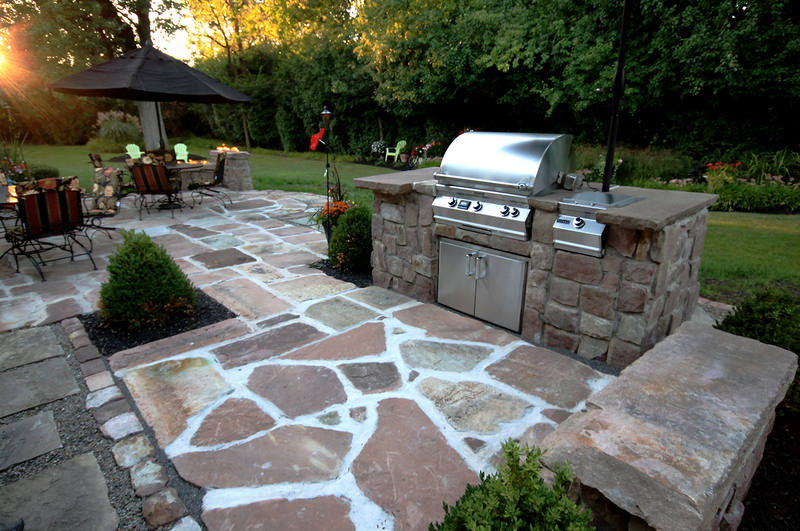 The kitchen includes built in natural gas grill with removable rotisserie and built-in side burner.